Just two weeks since its release, ‘Say Hi’ has already been streamed 1 million times and apparently received acclaim from the likes of Billboard, MTV, Teen Vogue, and many others. 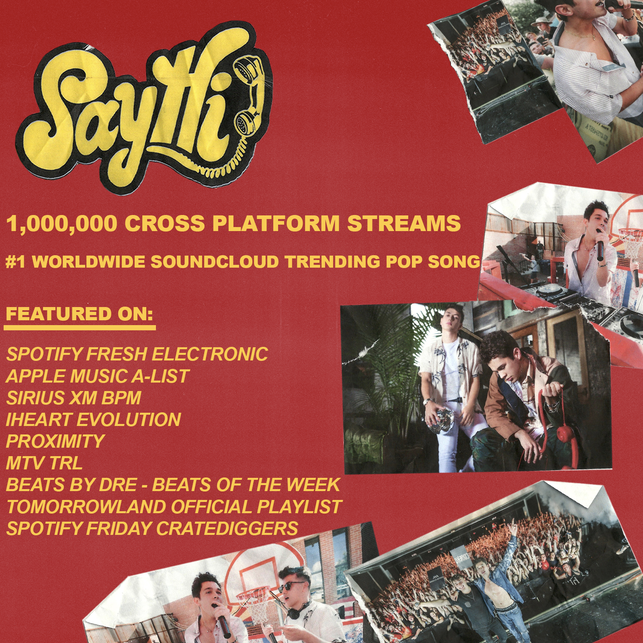 In the record’s first week, ‘Say Hi’ hit #1 on Soundcloud’s trending pop chart, was added to Spotify’s Fresh Electronic playlist / Apple Music A-List playlist, and has seen spins across iHeart and SiriusXM BPM. 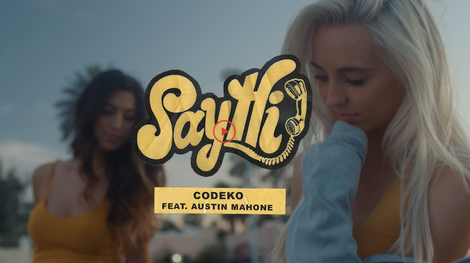 To debut ‘Say Hi,’ Codeko and Austin Mahone invaded the University of Arizona with eight performances in less than 24 hours. The performances across two pool parties, two concerts, and four acoustic shows, yielded a dramatic music video that brings the story of the track to life. From a child concert pianist who attended high school on a music scholarship, to a dance music producer on the rise, it is clear that he has a knack for music. The track is the latest work from the young UK-based producer, who is currently studying Physical Sciences at Cambridge University in London. The track also marks the first release in a new partnership between him and the label Astralwerks. Austin Mahone just concluded a 22 date North American tour: “A Tour For Me+You,” and is coming off the commercial success of his last record with Hardwell, ‘Creatures Of The Night’. With over 10 million Instagram followers and 4.4M monthly Spotify listeners, he has possibly evolved into a worldwide phenomenon. His record ‘Dirty Work’ recently hit #1 on iTunes Top Songs in Japan and broke the record for longest standing #1 spot on Billboard Japan.